He was 79 when he fell from his bike on a steep road this past spring. Although he lost consciousness, there didn’t appear to be lasting damage. But he fell ill at a family gathering in Idaho and died peacefully — a week ago today — surrounded by his wife and nine children. Gratefully, his books live on, as he was: available, common sensible, and incredibly dependable. 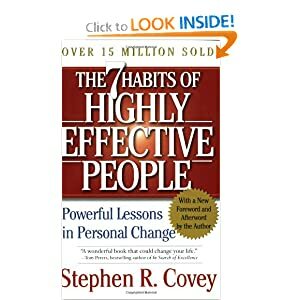 The Seven Habits of Highly Effective People remains the most empowering book I have ever read. I return to the book and to the principles regularly. I’m not the only one. It’s at #21 on the Amazon list, with an overwhelming number of 5-star reviews. Covey is deep in thought and spirit. If you haven’t read 7 Habits I urge you to pick it up, or dust it off. Here are his 7 Habits; what’s your favorite? 5. Seek first to understand.